Welcome to the 15th exposure of SteemTuner's Featured Post series - A manual curation project aiming to support the undervalued posts on steem blockchain. This amazing Dtube vlog by Sara Campero teach you how to make a beautiful gift box in the shape of a heart, using inexpensive materials and very easy to get. Take a look at his article from here. This wonderful article of Barski in where, He found some mushrooms and tried to prepresent by his article. His writing and photography skill will surely amaze you. Don't forget to check her blog from here. This article by Hafiz Ullah is about his experience about the power of Money. He Tried to represent the theme of it by his Dtube vlog. Our 3rd featured post can be read from here. 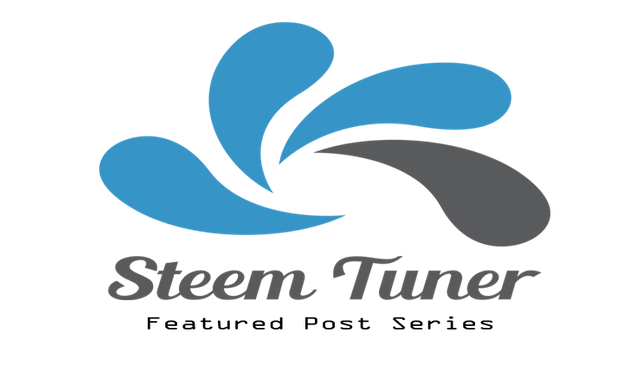 The featured posts are picked by the "SteemTuner Curation Team" composed of experienced members of the community. To maintain transparency within the selection process, articles of the curators are considered ineligible to be featured. The complete process is moderated by the 'Admin Panel' (@mdshahin786, @habibrahad, @sherbanu) of SteemTuner community. This issue is published under the editorial authority of @ied from "SteemTuner Curation Team". @steemtuner, I gave you a vote!